Terence represents airport operators, cities, and other public agencies on matters of constitutional law, land use law, and general municipal law. His practice focuses on advising local government officials and employees on transactional matters such as conflicts of interest analysis, contract negotiations, open meetings, ordinance and regulation drafting, public records, and public works projects. 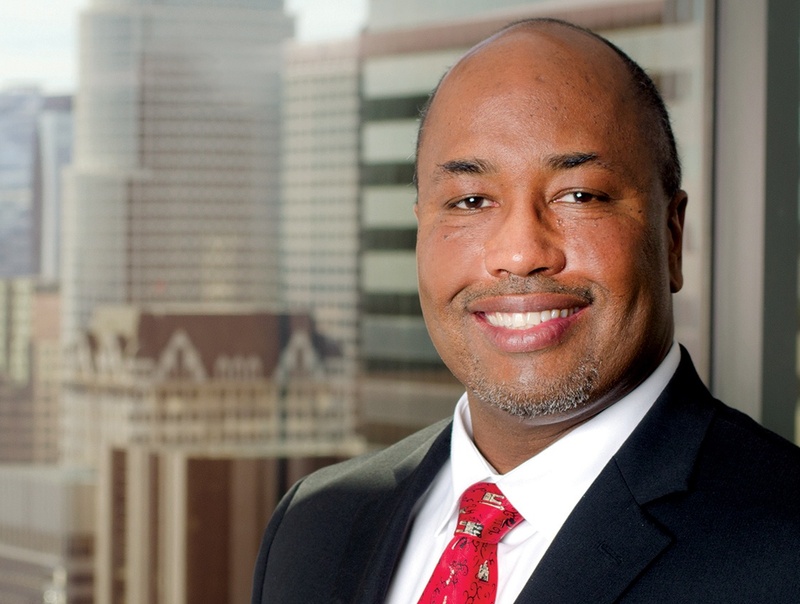 As a result of his plain speaking, clear writing, and team attitude, several clients have retained Terence for city attorney or general counsel services for more than a decade. Terence serves as General Counsel for the Burbank-Glendale-Pasadena Airport Authority, as City Attorney for the Cities of Brea and Westlake Village, and as Assistant General Counsel for the Clovis Veterans Memorial District. He previously has served as General Counsel for the Antelope Valley Transit Authority; as Assistant City Attorney and Planning Commission Counsel for the Cities of Barstow, Carson, Norwalk, and Seal Beach; and as Civil Service Commission Counsel for the City of Torrance. Terence joined Richards, Watson & Gershon in 1994. A renowned commentator on legal matters related to local government, he has published articles in more than a dozen periodicals. He is a former author and reviewer for the League of California Cities’ Municipal Law Handbook treatise, and was a consultant on the Continuing Education of the Bar’s two-volume California Land Use Practice treatise. Additionally, while serving as Chair of the State Bar of California Public Law Section Executive Committee, he conceived and was editor-in-chief of the How Government Works: An Introduction to Local and Regional Public Agencies in California consumer pamphlet. Terence has been awarded a Local Government Fellow designation by the International Municipal Lawyers Association, which recognizes him as a legal specialist in the field of local government law. Terence has provided transactional advice on the entitlement and development of a number of multi-million dollar, high-profile projects in Southern California. Bob Hope Airport Regional Intermodal Transportation Center. The Bob Hope Airport Regional Intermodal Transportation Center is the Burbank-Glendale-Pasadena Airport Authority’s largest capital improvement project to date, a three-story 507,000 square foot facility occupied by on-airport rental car companies. The ground level of the structure also contains a transit center utilized by municipal bus operators. Over the course of the development of the project, Terence provided a variety of legal services for the airport authority including: advising on a mitigated negative declaration for the project; processing of land use entitlement applications to the City of Burbank; preparation of bid/proposal procurement documents for design-bid-build and design-build components of the project; drafting of professional services agreements, a construction agreement, and a design-build agreement; and advising on the resolution of a bid protest, a Buy America dispute, and contractor claims. Bob Hope Airport Replacement Passenger Terminal. The Bob Hope Airport Replacement Passenger Terminal will be a 14-gate 355,000 square foot facility that eliminates a long-standing safety problem and provides new amenities for travelers. Terence has provided a variety of legal services for the Burbank-Glendale-Pasadena Airport Authority in connection with the on-going project including: advising on a six volume 4,100 page environmental impact report that analyzed three development options for the replacement terminal; negotiating with the City of Burbank for zoning amendments, conditions of approval, an easement modification, and a 20-year development agreement; and negotiating with a labor union and drafting a project labor agreement that establishes the terms and conditions of employment for workers on the replacement terminal. Westlake Village Community Park. The Westlake Village Community Park is a 19-acre hillside facility with sports fields, a skate park, and ancillary recreational amenities such as picnic areas, tot lots, vista points, and walking paths. Terence provided a variety of legal services for the City of Westlake Village in connection with the project including: negotiating with a YMCA and drafting a lease/purchase agreement for the city to obtain the park site; advising on prevailing wage, prequalification, and bidding matters; and drafting resolutions necessary for slope landscaping and irrigation work to be completed on an emergency basis without rebidding after a bankruptcy filing by the original contractor. Suter v. City of Lafayette (57 Cal.App.4th 1109 (1997)). Terence authored an amicus brief to the California Court of Appeal on behalf of 65 cities supporting a firearm dealer ordinance. The court upheld local government authority to establish licensing and zoning regulations for firearm dealers. Nightlife Partners v. City of Beverly Hills (304 F.Supp.2d 1208 (2004)). Terence co-authored a summary judgment motion to the Federal District Court for the Central District of California defending the validity of an adult entertainment business ordinance. The court upheld the ordinance against numerous constitutional challenges. Terence has been a panelist at a newsrack ordinance symposium sponsored by the California Newspaper Publishers Association. Additionally, he was a conference speaker at a newsrack seminar sponsored by the California Downtown Association. Terence has served as an articles editor, contributing editor, or editor-in-chief for a variety of publications.